­When you hear the word hypnosis, you may picture a mysterious figure with a swinging watch as portrayed in movies, comic books and television. However, this image couldn’t be further from the truth. Hypnosis has been and is currently used in medical applications, as well as to improve confidence, let go of fears and phobias, lose weight, become a millionaire, improve brainpower, and many more. This article – Hypnosis: The Myths and Facts – discusses some of the most common MYTHS surrounding hypnosis, and the TRUTH behind them. Nope, although I imagine that newly qualified hypnotists may like to think they do🙂. Hypnotists do not have any special powers. They simply have the knowledge and experience to take you down into a deep state of relaxation, then deliver the right kind of message to your inner mind. It is said that all hypnosis is self-hypnosis. So you’re the one doing the work and changing your thought patterns. 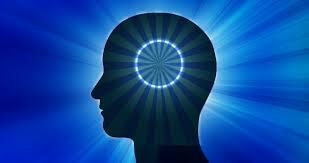 Therefore it is actually those who can focus and with greater imagination who get the best results from hypnosis. The hypnotist, or hypnosis recording, simply facilitates the process. No, you can’t be hypnotized into doing something you don’t really want to do. You’re not being controlled by someone else. If a hypnotist tries to tell you to do something that goes against your values, you will reject it and jump out of your trance-like state. There has never been a single recorded case of this. The state that you’re in during hypnosis is similar to that of day-dreaming. You’re just very relaxed. You can ‘wake up’ at anytime. Usually that will be at the end of the session, when guided to do so by the hypnotherapist. Hypnosis is a branch of psychology, and has no connection to any religion whatsoever. It is simply a safe and natural method of relaxing your mind, and feeding yourself with positive affirmations and ideas. 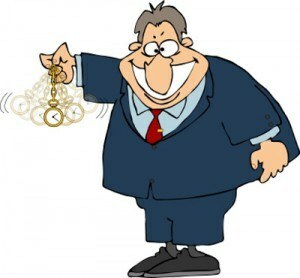 I hope this article has helped you to clear up some misconceptions regarding hypnosis. Click here to return to the Hypnosis Live product review. Thanks Clark. The information here was really helpful. My stepdaughter is currently doing this for her competitive skiing and it’s helping. Since I’ve never done it myself it was hard for me to relate. But the info here is very helpful. Thanks, Dan, and wish your stepdaughter success in her skiing endeavors! Thanks for a great article, Clark. I think that hypnosis is real and that we can put ourselves into hypnosis. I like your article because it tells the truth and dispels the false issues. All this while I’ve been ignorant about hypnosis, growing up to believe it is a mind control process. And definitely not helped by the misrepresentation of hypnosis in movies. It wasn’t until recently I tried hypnosis as part of mental block clearing program that it became clear to me what hypnosis really is. I can validate what you’ve been sharing as fact that I’ve experienced. That’s wonderful to hear, and do continue to use hypnosis to improve other important areas of your life. Indeed, the way hypnosis is portrayed in the movies or during illusionists’ “performances” have created certain perception and fear of hypnosis. There are misconceptions of what it actually is! Really well said, Girl (Is that really your name?). Hypnosis is a wonderful tool used in hospitals, as well as to change our paradigms. I went for hypnotherapy to try and stop smoking many years back. I didn’t really want to stop smoking but I had people in my life pushing me to quit who said if I went for hypnosis I would stop immediately. I had one session and was told to come back for more sessions, as she said it takes a few sessions. The problem here didn’t lie with the therapist but with me. Firstly I never returned and also I never wanted to stop. I did however find the process very interesting and enjoyable. As a recovering addict and alcoholic I find any way to try and stop any addictive behavior very interesting. I do believe if I wanted to quit at that time and I returned there would have been a very high chance of success. It was not at all what I expected and no mumbo jumbo or swinging watches. By the way I have since quit smoking on my own because I truly wanted to, it has to do with now having children and wanting to be a better mom. Amazing how things can happen in our life that can change our views so much. I also believe all my experiences in my life including the hypnotherapy experience added to the skills and strength I needed to quit. Thanks so much for sharing your story with us. I believe it’s going to encourage more people to use hypnosis. Also, wish you a wonderful life as MOMMY! Hey there Clark, this is interesting. It shed some light for me, thanks. I always thought hypnosis isn’t real. You mentioned that hypnosis can have many benefits if used for the right purpose. 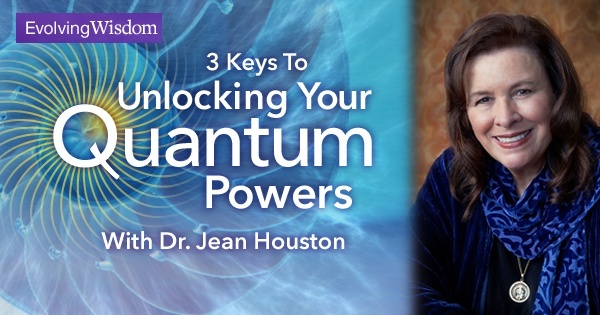 Would it be possible to hypnotize yourself and reap these very same benefits? Sure, you can perform self-hypnosis in your own home by listening to a hypnosis MP3 audio. You can read my review of Hypnosis Live by clicking here or the link above. Very cool post about hypnosis. I know that our mind is more powerful than anything that exists in the world. Just by thinking positively for some time one can achieve anything. Hypnosis is probably a few steps further. Very cool. You’re welcome, and sample the free hypnosis audio by Hypnosis Live. Trust me, you wouldn’t regret it! Great post! There is lots of misconception about hypnosis. I think you explained them very well. These myths are really so widespread that it makes a lot of people turn away the idea of self improvement using hypnosis. Being an author of a self development blog, I am well aware of how people react when they hear about hypnosis..just like you have explained they believe in these rubbish things like only weak people can get hypnotized, one can make you do things against your wish etc etc. It’s so true that more than half of the work is done by the person who is getting hypnotized (unconsciously) but, those unconscious decisions also has to comply with the conscious intention of the person. I really wish that this post of yours will motivate people to try self hypnosis for their betterment. Well said Hari, hypnosis is an incredible tool that I (and probably you too) have used and benefited from. It is one of my 2016 goals to bring more awareness to people on the amazing benefits of hypnosis :).